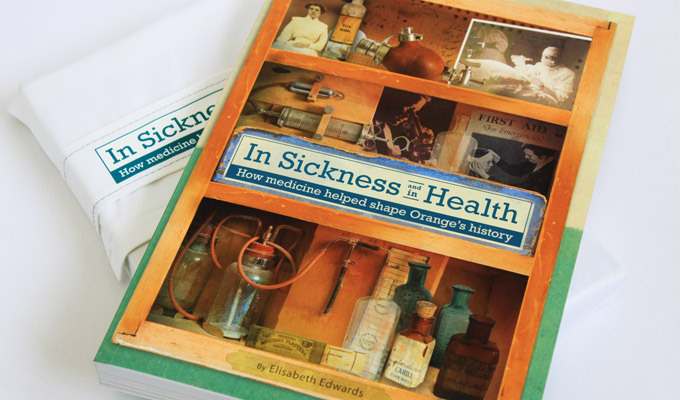 In Sickness and in Health – How medicine helped shape Orange’s history was commissioned by Orange City Council supported by Pinnacle Health Care and Orange Regional Arts Foundation. The book takes an original approach in exploring how medicine shaped the history of Orange and the surrounding districts from the earliest days of settlement to the 21st century Base Hospital on the Bloomfield campus. 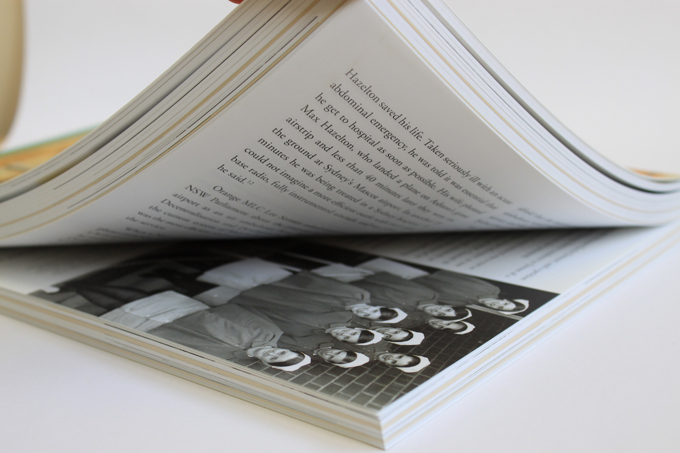 Sauce Design was engaged to produce the book design and layout. An eye-catching cover was created digitally using images of objects from the collection, fashioned into a cabinet of curios, illustrating the rich history and evolution of the medical profession in the area. The book contains many more photographs, is extensively indexed and is written by experienced local author Elisabeth Edwards. Becoming a collectable object in itself, and at 346 pages, the book was section sewn with a drawn on, matt cello glazed cover, allowing it to open flat and be poured over at the reader’s ease. The page design incorporated a hospital colour scheme, textural graphic elements such as labels and files, and layout was inspired by a text-book feel. Special: limited edition of 20 were supplied in a unique book bag, created by Sauce Design. 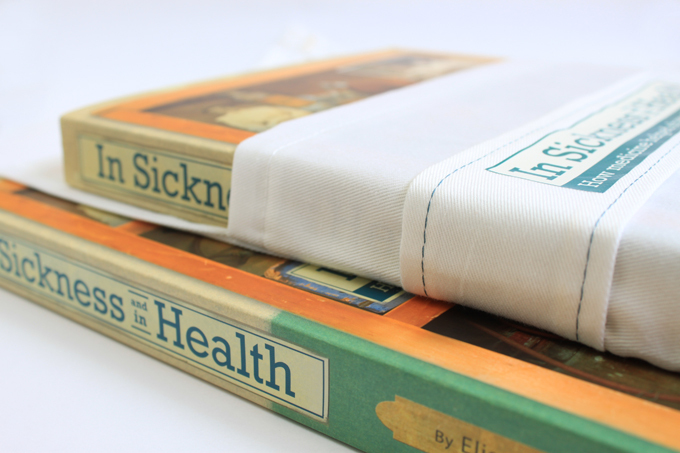 The bag was inspired by hospital corners and bed linen. The book has sold very well and is extremely popular both with Orange residents past and present, and those in the medical industry. In Sickness and in Health is available for sale from Orange City Library.